Hair Restoration and Personal Stylists: Long Term or Quick Fix? Personal stylists address all aspects of your appearance to make you look great: clothing, skin, nails, grooming, and hair– including hair loss and hair restoration. What would a personal stylist say about your hair? The personal stylist will also take into account whether you want a short-term make-over or lasting results. For the client needing a quick fix for a few days or weeks, hair loss may be concealed with hair styling and maybe a spray bottle of fake hair fiber or makeup. Unless you work in the entertainment industry, though, you won’t have time for a daily hairdressing appointment. Performers and models spend several hours in the chair to get that perfect look. Over the long term, most people will need a hairstyle that looks great in minutes. The beauty of hair restoration surgery is that it is your own hair, and it is permanent. The transplanted hairs won’t fall out. You wash it and style it – and you’ll look great with a fuller head of hair! This definitely pleases most personal stylists. Think about how much trouble it is to wear a hairpiece or wig every day. They are tricky to put on, they are hot and itchy, and they can fall off at the worst possible moment. 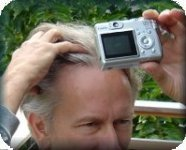 For people with male pattern balding, drugs like minoxidil (Rogane) or finasteride (Propecia) can stop further hair loss, but they don’t give you all your hair back. Hair restoration surgery is done under local anesthetic. You are in the chair for a few hours while hair from one part of your scalp is painlessly transplanted to the balding area. There are no bandages, and you can return to normal activities the next day. The transplanted hair fully grows in within 9-12 months. Or, if you take Help Hair Shake after the surgery, you can expect faster results. If you hire a personal stylist and have hair loss, be sure to explain whether you are looking for just a short-term make-over or long-lasting good looks. If you are aiming to look great for a long time, and want a consistently presentable appearance, then discuss hair restoration surgery with your stylist and a qualified hair transplant doctor. This entry was posted in Hair Loss, Hair Loss in Women, Hair Transplant, Hair Transplant Physicians, Hair Transplants on December 18, 2011 by Larry Shapiro.